With the onset of the festive season, Flipkart and Amazon are ready to duke it out with their respective flagship sales. Both e-commerce players are offering lucrative deals on segments ranging from smartphones, fashion, home decor, appliances and more. Amazon's Great Indian Festival has started from today, for Prime users and will open for all customers from midnight tomorrow, continuing till October 15. Flipkart's The Big Billion Days sale, on the other hand, will start from October 10 and will go on till October 14. Among other segments, both online shopping sites are offering value deals on latest and popular smartphones. Here are the top five deals on smartphones that you can look into if you are planning to upgrade your smartphone this festive season. These discounts have been calculated on the MRP of the smartphones. Amazon India is offering discounts in the range of Rs 19,000 to Rs 22,000 on different variants of Samsung Galaxy S9 during its Great India Festival sales. During the sale, the 64GB variant of the Galaxy S9 is available for Rs 42,990 after a discount of Rs 19,510, whereas the 128GB variant is available for Rs 44,990 with a discount of Rs 21,010. The top end 256GB variant of Galaxy S9 is being sold at Rs 48,990 after a discount of Rs 22,010. Amazon India is also offering no cost EMI and guaranteed exchange price on the purchase of Samsung Galaxy S9. The device comes with Exynos 9810 octa-core processor, 4GB of RAM, 5.8-inch Super AMOLED Quad HD+ Infinity Display screen, 12MP rear camera with dual aperture lens and 8MP front camera. 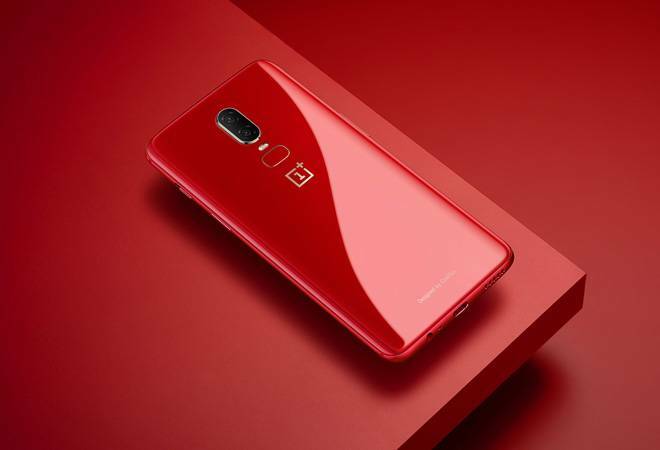 During the Great Indian Festival, Amazon India is giving Rs 5,000 off on all variants of OnePlus 6. After the discount, the 64GB variant of the device is available at 29,999, the 128GB variant at Rs 34,999, and the 256GB variant at Rs 38,999. Buying the OnePlus 6 during the Great Indian Festival comes with free one-year screen replacement worth Rs 12,000. Amazon is also running an exchange offer for the device. The OnePlus 6 comes with Snapdragon 845 chipset, up to 8GB of RAM, 20MP+16MP dual rear camera and 16MP front camera. The screen is a 6.28-inch Optic AMOLED panel with Full HD+ resolution. The latest Android One offering from Xiaomi is also available at a discounted price during the Amazon Great Indian Festival. The device is being sold at Rs 14,999 with Rs 2,500 off. Free one-year screen replacement, no cost EMI and guaranteed exchange price are also being offered during the sale. The device comes with Snapdragon 660, 4GB of RAM and 64GB of internal storage. The screen is a 5.99-inch Full HD+ panel. At the back is a 12MP+20MP dual camera setup and the front has a 20MP selfie camera. Asus Zenfone 5Z with 6GB RAM and 64GB internal storage will be available at Rs 24,999 after a discount of Rs 5,000. The latest flagship from Asus can be purchased at Rs 21,999 on exchanging any OnePlus device, which is inclusive of extra Rs 3,000 off over regular exchange value offered by Flipkart. The Asus Zenfone 5Z comes with Snapdragon 845 SoC, 12MP+8MP rear camera setup and 8MP front camera. The 6.2-inch screen on the Zenfone 5Z comes with Full HD+ resolution. Flipkart is selling the Nokia 6.1 Plus at Rs 14,999 during the Big Billion Days sale instead of the actual price of Rs 17,600. Nokia 6.1 Plus comes with Android One affiliation, along with Snapdragon 636, 4GB of RAM and 64GB of internal storage. The device exudes premium build quality with a glass body despite being placed in the mid-range segment.